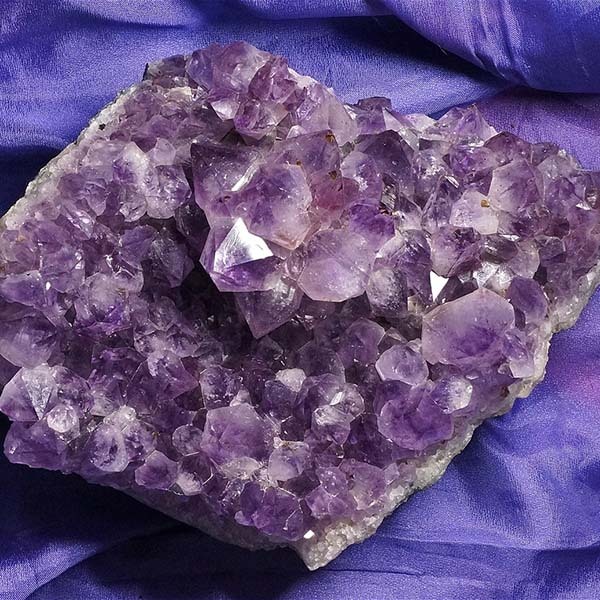 Enjoy the healing qualities of Amethyst all day long. The round Amethyst beads are 10 mm in diameter. Total length of the earrings is 1-3/4 inches. 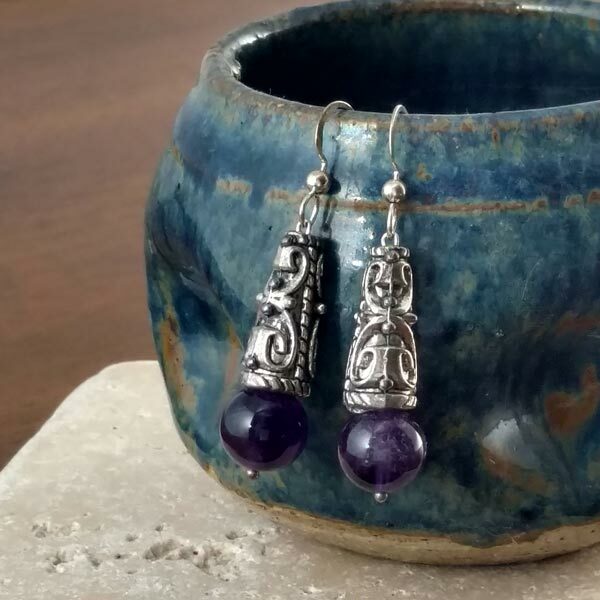 Sterling Silver French ear wires and fine pewter Tibetan styled trumpet beads. Ear nuts included.